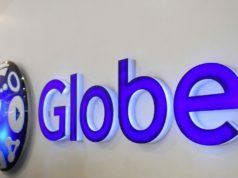 Globe, one of the more known cell service providers here in our country, had offered a lot of promos over the past years. As a matter of fact, new promos come out at least a month or two and Globe subscribers enjoy them. 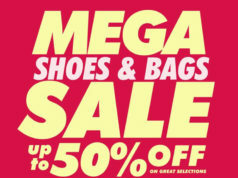 Recently, the provider came up with a technique; they were able to produce Globe combo promo tricks for people who are fond of dissecting each and every promo. 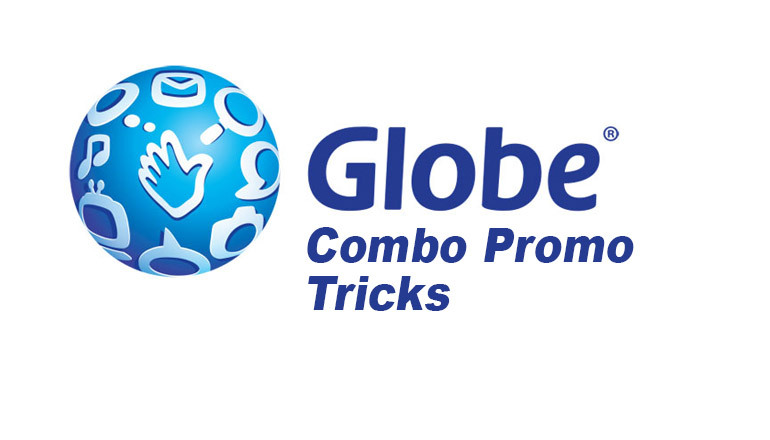 What do you mean by Globe combo promo tricks? As we all know, Globe has many different promos: including combo promos like a combination of texting, calling, and surfing promos. Some people managed to figure out how to go over the designated promo by getting more texts, more calls, and a lot of time to use mobile data or mobile internet. Are there multiple Globe combo promo tricks available in the market? Yes! As a matter of fact, many Globe subscribers were able to experiment on these combo promos. These Globe combo promo tricks are currently not common knowledge so sharing these to your friends would really bring you up to the front page. Read: EasySurf: TM Data Promos with Free FB, YouTube, Spotify, Games and more! It requires 94 pesos worth of load. Text GOTSCOMBOHBFA14 and send to 8080. Wait for the confirmation. If that keyword doesn’t work, you can also try GOCOMBOAHBFA14 and send it to 8080. Note that keywords change so be sure to check on them every now and then. After doing so, text GOTEXTDF80 and send to 8080; wait for the confirmation. Once confirmed, you can now enjoy your 1100 texts to all networks, all valid for 30 days. To check the status, just text GOSAKTO STATUSand send to 8080. To extend the promo for another 1 month, before your subscription expires, load 80 Pesos and text GOTEXTDF80 and send to 8080. This method requires 97 Pesos worth of load. To register, text ATXT80 and send to 8080, wait for the confirmation message. After you receive the confirmation, text GOTSCOMBOHAA17 and send to 8080. Also wait for the confirmation. 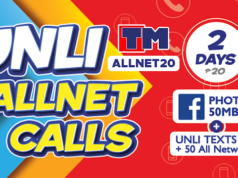 You’ll now be able to enjoy 1100 all-net texts which will run valid for 30 days. You can check your remaining all-net texts by texting ATXT80 STATUS (or SUPERALLTXT80 STATUS) and send to 8080. What’s special about having these plans? It’s actually within the validity of each plan. The base plan which is the promo that you register to first has the validity of thirty (30) days. The add-on in these promos would be the GOTSCOMBOHAA17 which carries the 1000 all-net texts. The GOTSCOMBOHAA17 adds 1000 all-net texts which will carry the 30-day validity of ATXT80 promo. Text GOTSCOMBOHAA17 and send to 8080. You can use it many times for additional 1000 texts to all networks. Can I extend these promos? In case you still have some remaining texts before the expiration of your promo trick, register to ATXT80 and send to 8080 and costs 80 Pesos before the expiration of your ATXT80. 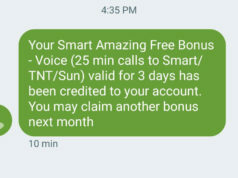 In case you are registered to a trick that includes all net texts from this 30-Day or 7-Day Cheap Globe Combo Promo Tricks : GoSakto Text, Call and Surf post and you want to extend those remaining texts for a month, you can use ATXT80. NOTE: This selected promo trick is available for selected areas only. In order for you to know if you’re eligible for it, try running the promos and if it allows you, then you’re good. If not, then you have to select a different promo. To register, text GOTEXTDF80 and send it to 8080; alternatively, you can text ATXT80 and send to 8080. Follow it up by sending GOTSCOMBOGOTXT15 and send to 8080. Once confirmed, you can now start enjoying 3100 texts to all networks, all valid for 30 days. You can check the status of your texts by, texting GOSAKTO STATUS and by sending it to 8080. In addition, you can extend the promo for another month. You just have to ensure that you extend it before your subscription expires, load 80 Pesos. If you registered ATXT80, just text ATXT80 and send to 8080. To register, text GOCOMBOGHAA24 to 8080 and wait for the confirmation. You can send GOCOMBOGHAA24 to 8080. To register, you need to start off with a base plan of GOCOMBOGKEA57 and send to 8080. After doing so, send GOCOMBOAHAF204 to 8080 and wait for the confirmation. To add 500 minutes more of calling, you can send GOCTCOMBOGKA14 to 8080. Want to add 1000 more texts to all networks? Send GOTSCOMBOHAA17 to 8080. Get 1000 more all-net texts with 500 minutes to Globe/TM/Cherry subscribers by texting GOCOMBOGHAA24 to 8080. Send GOCOMBODDD71 to 8080 for additional 1000 texts to all networks, 500 calling minutes, and 1 GB more data. 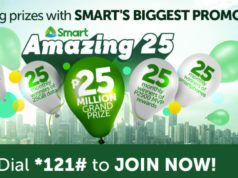 Get a combo off 20 texts to all networks, 500 calls to Globe/TM/Cherry, and 1 GB more by texting GOCOMBOGKEA57 to 8080. Send GOCOMBODAD65 to 8080 for additional 50 All-Net texts, 500 call minutes and 1 GB consumable data. Get 1GB more with 1000 all-net texts, and 100 calling minutes by subscribing to GOCOMBOCAD64 and sending to 8080. Send GOCOMBOADD65 to 8080 for additional 1000 All-Net texts, 10 call minutes and 1 GB consumable data. These are just among the newly found Globe combo promo tricks. If we find more, we will be more than happy to share it. However, as of now, let’s be contented with what Globe combo promo tricks were discovered and besides, it never did come this cheap. Previous articleEasySurf: TM Data Promos with Free FB, YouTube, Spotify, Games and more! DFA’s Feedback Mechanism Makes Passport Concerns Easier!